Sr. Orla from Bray, Ireland, has been with the Loreto — Ireland Mission in South Sudan since its inception in 2006. One of three sisters originally sent to develop the school, Sr. Orla has remained a constant in the community for 12 years. In this time, the Loreto Girls Secondary School in Rumbek has grown from an initial class of 28 girls in 2008 to 240 girls. A primary school of around 900 students was started, and a primary health care unit targeting community women and children was recently opened. The Hugh O’Flaherty International Humanitarian Award is awarded each year in the memory of Monsignor Hugh O’Flaherty whose work protecting Jews during the Nazi occupation of Italy earned him the ire of some and the respect of many. We are honored and humbled by Sr. Orla’s nomination for this award, and very grateful for her leadership here in Rumbek. The award was presented by Cllr Niall Kelleher, Mayor of Killarney Municipal Authority on Saturday evening November 4th at an Award Ceremony in the Killarney Avenue Hotel. 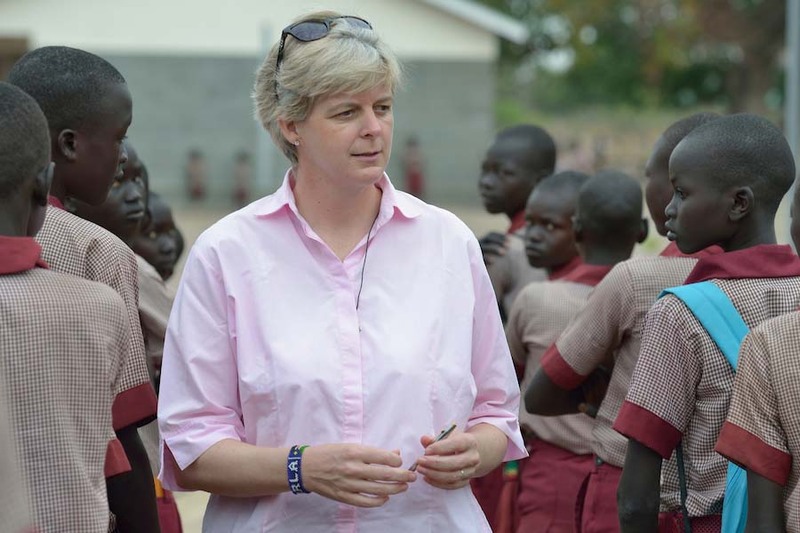 Sister Orla appeared on RTE’s Today Show recently to highlight the importance of the School in South Sudan.